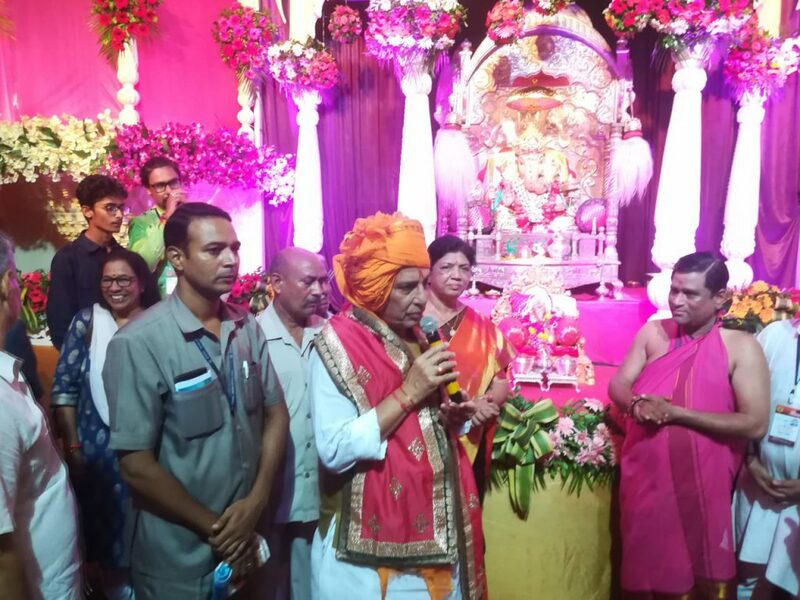 Minister of Home Affairs of India Rajnath Singh visited Vadodara and attended various programmes including visit to the famous Aashirwad Ganesh situated in Dandiya Bazaar. On the Rafael matter he said the opposition has the right to blame but they shall use the right words. 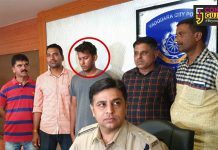 On the killing of three police jawans he said the the home department is working on it and everything will be done to protect the self respect of the country. 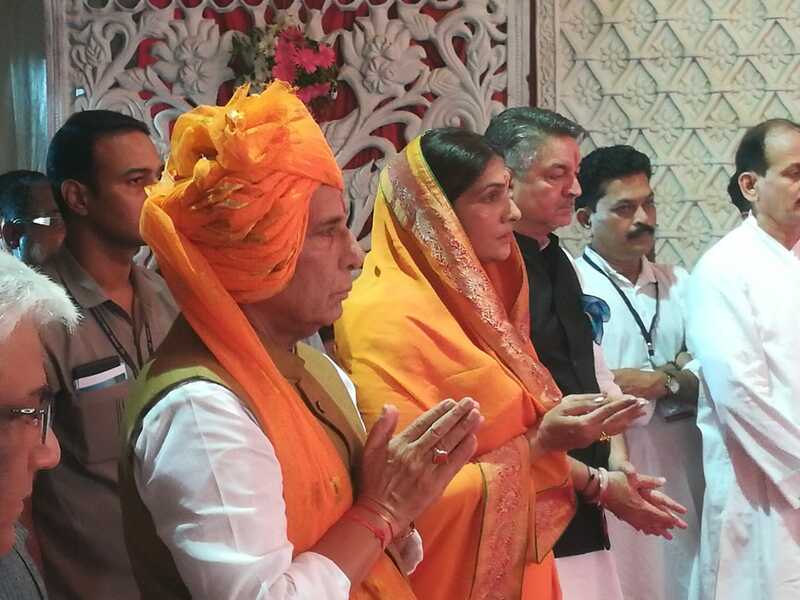 Rajnath Singh visited the famous Aashirwad Ganpati and offered the golden Pitambar to the Lord and perform aarti there along with Maharaja Samarjitsinh Gaekwad and others. Commenting on the killing of three police jawans by the terrorists he said the first priority is to control the situation and Army, CRPF and J&K police is working in coordination. On SPO’s resignation he said the news has no base and everything will be done to protect the self respect of the country. 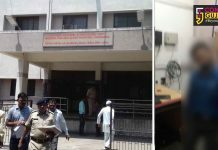 Earlier Rajput Samaj welcomed him at the circuit house and later he left to visit Aashirwad Ganesh and later attend the meeting of BJP members at Milan party plot. The Aashirwad Ganesh continue to bless the devotees for the last four decades and earlier visited by Prime Minister Narendra Modi, RSS chief Mohan Bhagwat, L.K. Advani and many others to seek blessings from time to time.